Application deadline: none – applications may be made at any time. The Percy Bilton Charity directs its funding towards enabling capital projects that are in the final stages of completion. Minibuses, building and refurbishment works are therefore only considered once the fundraising appeal has a shortfall of £15,000 or less. Preference is given to funding specific items of furniture and equipment (excluding office items) which the Charity can fund in their entirety. o SMALL GRANTS - donations of up to £500. 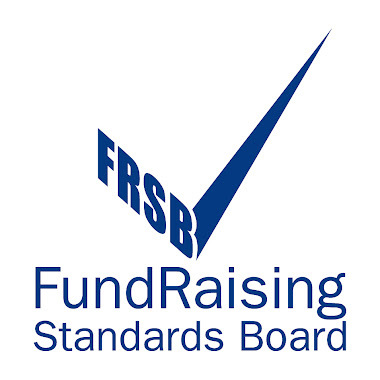 Organisations do not need to be registered charities to apply for a small grant, but will need to supply a reference from a registered charity or from the Voluntary Service Council. o Works to premises not used primarily by the eligible groups. Applications may be made at any time in writing. Further information is available on the Percy Bilton Charity website. Application deadline: Sunday 30 June 2019. The Greggs Foundation Local Community Project Grants scheme provides small grants for local projects that improve resilience within a community of interest. This can include sessional activities/respite support, equipment for sessional activities, trips and residential breaks. The Foundation is also interested in new approaches and innovative ideas as well as sustainable approaches to supporting the community of interest. Priority will be given to organisations that have Greggs shops or premises nearby. A store locator can be found at this LINK. Not-for-profit organisations in England, Wales and Scotland may apply for a grant of up to £2,000. Approximately 1 in 4 applications are successful. Larger organisations with an annual turnover of £300,000 or over are unlikely to be supported. The next application deadline is Sunday 30 June, with decisions expected to be announced towards the end of August. Further information, together with an application form, is available on the Greggs Foundation website. Application deadline: Tuesday 30 April 2019. The Concertina Charitable Trust awards a limited number of micro-grants to charitable organisations that provide cultural activities and related facilities for the elderly, particularly in care homes, in order to improve the quality of life of elderly people. The Trust is especially keen to see its donations used as match funding by smaller organisations in England and Wales. Grants up to £250 are available. There is no match funding requirement. Please note that the Trust’s total annual charitable expenditure is normally around £3,000. There is no match funding requirement. Further information, together with an application form, can be found on the Trust’s website. o 2021: Homelessness; refugees and asylum seekers. The Trust is particularly interested in supporting projects that address the mental health needs of children and young people. In the current round, which opened on 1 April and closes on 30 April, UK registered charities with an annual income of a least £1 million may apply for a grant of up to £5,000. All applications must relate to children aged 0-11 years. The Trust’s next grant application round (check the Trust’s website for details of the application deadline) will offer grants up to £1,000 for children and young people projects. Registered charities with an annual income of between £100,000 and £1 million may apply. Grants are rarely awarded to local charities that are not known by any of the Trustees, so a letter of introduction may be the most pragmatic way to introduce your charity to the Trust. Further information, together with an application form, is available on the Trust’s website. Applications must be completed online. Tesco’s Centenary Grants are two unique voting rounds of Tesco’s local community grant scheme, offering a special, one-off opportunity for charitable organisations to benefit more people. Projects must provide a significant benefit to communities across their voting region. There are 23 regions in England, 3 regions in Wales, 5 regions in Scotland and 1 region for Northern Ireland. Potential applicants are advised to check the Bags of Help map to ascertain which voting region they come under. 1. The July/August 2019 voting period is for projects with a health and well-being theme. Priority will be given to projects focussing on cancer, heart disease and diabetes. 2. The November/December voting round will be open to all community groups supporting projects across their regions. Not-for-profit organisations, including registered charities, Community Interest Companies, Schools, parish and town councils, local authorities, health bodies and social housing providers may apply for a grant. The types of projects that can be funded is very broad and will cover the direct costs needed to deliver the project. There is no requirement for match funding. o Providing equipment that will benefit the whole region such as medical equipment, minibuses, mobile libraries and safety equipment. o Projects or activities that are a legal or statutory responsibility. Further information is available on the Tesco Bags of Help Centenary Grants webpage. Funder: The Split Infinitive Trust. The Split Infinitive Trust provides small grants for projects that support live and performance arts, in general and in education. Preference is given to supporting students, especially performance arts courses, such as music, drama and dance, although consideration may be given to other arts areas. The Trust favours applications from Yorkshire and the surrounding area. However, this should not deter applications from other parts of the UK. Not-for-profit organisation and individuals based and active in the UK may apply for a grant of between £250 and £750. o Charities seeking funds for their own grant disbursement. Applications, which are considered every three months, may be made at any time. 1. Individuals should download the application form from the Trust’s website, which should then be submitted with a brief covering letter and supporting evidence, such as an acceptance letter if applying for arts course funding. 2. Organisations are required to complete the information form available on the Trust’s website, which should be submitted with a project outline and a budget breakdown. Application deadline: Tuesday 7 May 2019. The Triangle Trust’s Development Grant programme is designed to provide core funding to support organisations to implement a step change in their development and therefore build increased sustainability for the future, for example by diversifying an income stream or setting up a social enterprise to help it become more sustainable in the long term. The Trust is ‘open minded’ about the type of initiatives applicants may wish to develop in order to increase their sustainability. The Trust’s next grant round is directed at not-for-profit organisations, including registered charities, not-for-profit social enterprises and community interest companies working specifically with unpaid carers. All applicants must be operating within the UK and have a UK office base. Applications are particularly welcomed from not-for-profits working in Scotland, Northern Ireland and Wales, although the Trust does not want applicants operating in England to be discouraged from putting forward a proposal. Grants of between £10,000 and £80,000 in total are available for a period of up to 36 months. Up to £2,500 per month for smaller projects (to a maximum of £30,000) are also available. Around 12-13% or all applicants to the Trust’s Unpaid Carer’s Fund are successful. Any costs incurred by the applicant in undertaking its core business can be covered by a grant award. The next application deadline for the Unpaid Carer’s Fund is midday on Tuesday 7 May. The Trust also offers a funding stream for organisations working with the rehabilitation of ex-offenders and offenders. Details of this grant programme, which has a next deadline of Tuesday 22 October 2019, can be found on the Trust’s website. o Stage 2 – shortlisted applicants will then be expected to host a visit from representatives of the Trust in order to present their strategic development plan for the next 3 years.